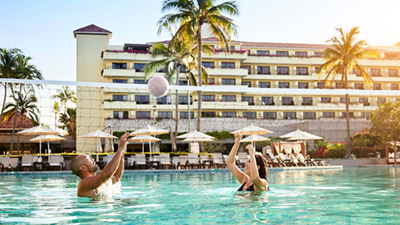 Whether you are planning a sensually romantic couple’s getaway or a fun filled family vacation, the Marriott Puerto Vallarta Resort and Spa has a place for you. 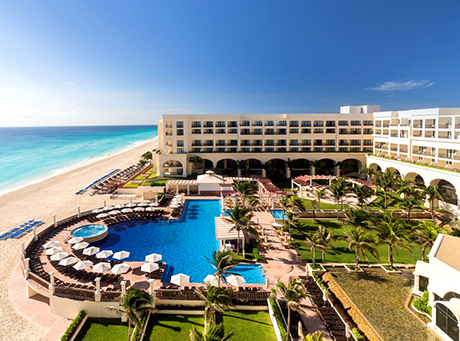 This incredible resort offers guests luxury and amenities to make your visit memorable and wonderful. 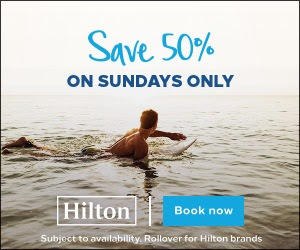 It is also takes pride in being a gay-friendly hotel. 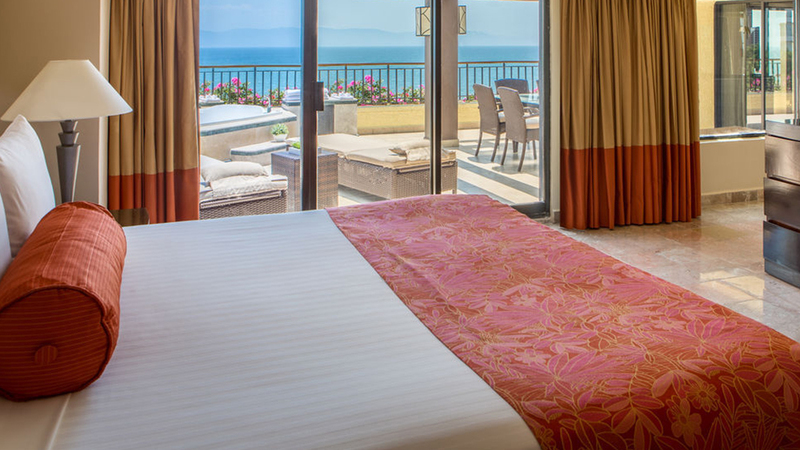 The Marriott Puerto Vallarta Resort and Spa is located in the perfect setting, a beautiful oceanfront property that gives you spectacular views of the crystal clear waters. 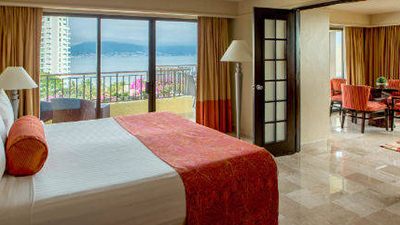 Each room is spacious and features a private balcony, marble bathroom and beautiful views. 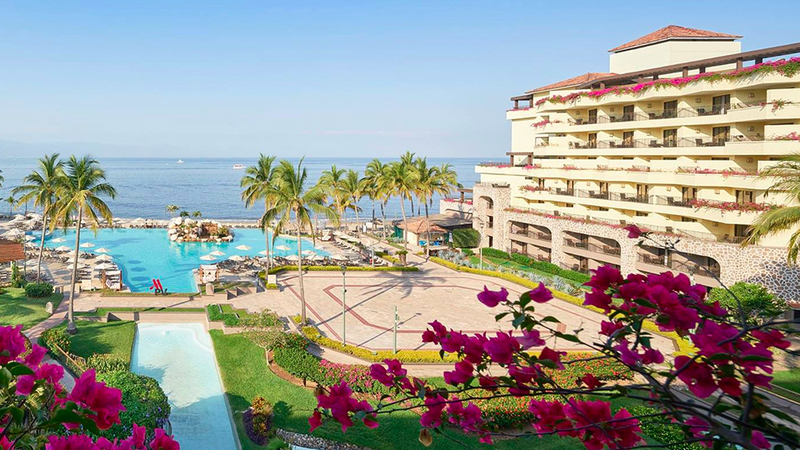 You don’t have to travel far for an exquisite dining experience with the many restaurant options located right on the Marriott Puerto Vallarta Resort and Spa property. 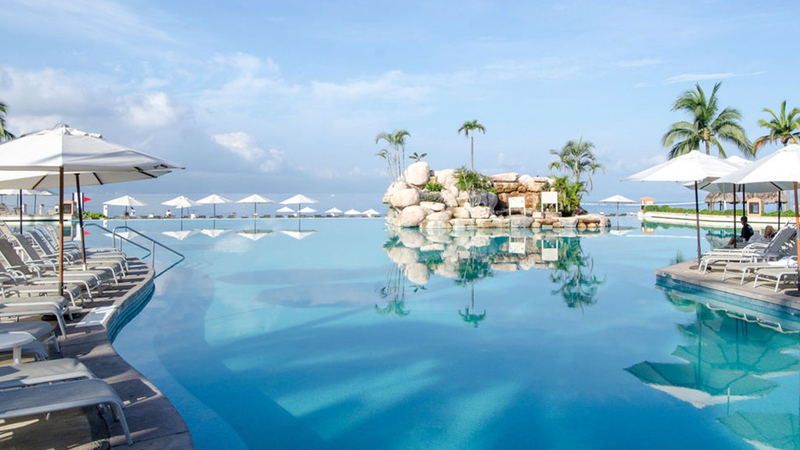 You can enjoy swimming at the beach or just spend the afternoon lounging by the indoor or outdoor pool. 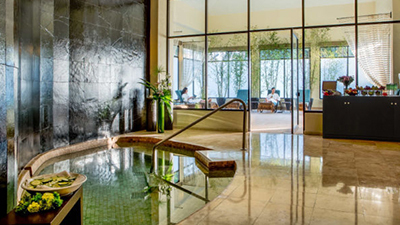 Enjoy a relaxing afternoon at the full service spa getting pampered and primped and ready for an evening out. 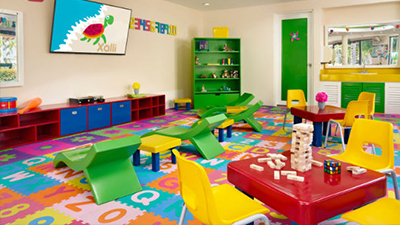 The family-friendly resort also offers a fun and popular kids club where the younger visitors can unwind and be themselves. 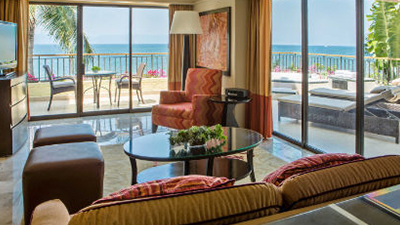 There really is so much to do at Marriott Puerto Vallarta Resort and Spa. No matter their age or activity level will have a memorable and fun time visiting. 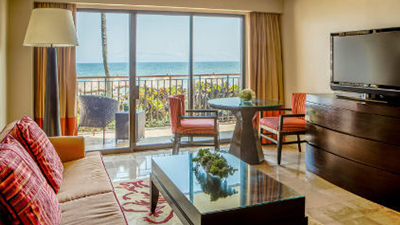 Book your visit to Marriott Puerto Vallarta Resort and Spa today and start making memories. 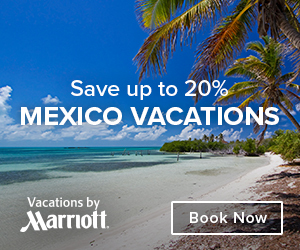 Ohtli Spa offers contemporary techniques with ancient healing traditions and treatments that will melt your stress away. Enjoy a relaxing couples’ massage, facial, aromatherapy and much more. 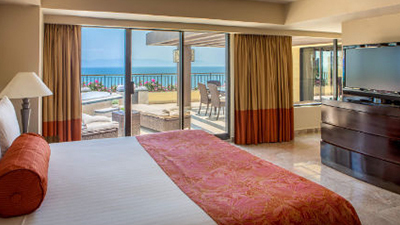 Call to book your reservation today at the Puerto Vallarta spa! 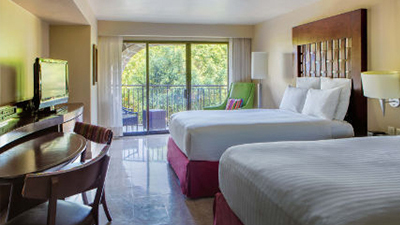 Special Guest Privileges: Complimentary access for hotel guests. 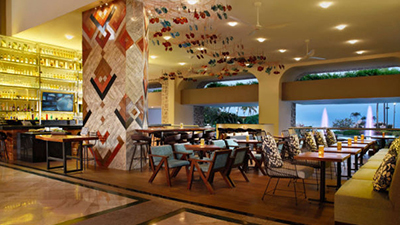 Savor an intriguing blend of traditional flavor and modern flair at La Estancia, a casual Mexican restaurant. 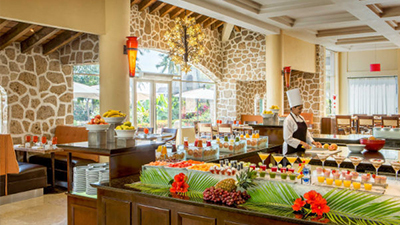 Start your day in Puerto Vallarta with our delicious buffet breakfast or join later for dinner. 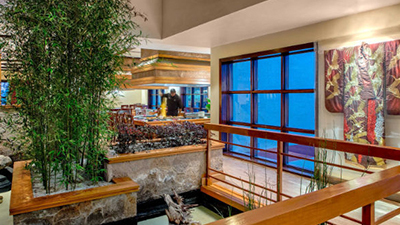 For a taste of Japan in Marina Vallarta, visit Mikado. This stylish restaurant is open for dinner. It offers made-to-order sushi, as well as teppanyaki prepared right at your table by talented chefs. Don’t miss the big game! 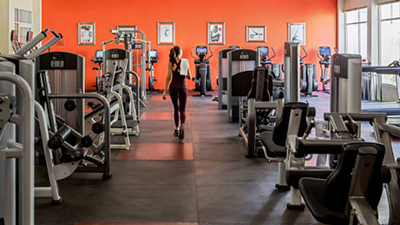 Champions Sports Bar boasts the largest high definition video wall in Puerto Vallarta! 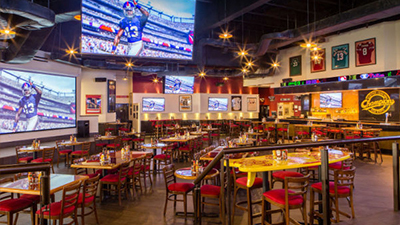 These relaxed bar offers one big screen, multiple 65-inch HD screens. Along with terrific American fare, including wings, burgers and beer. 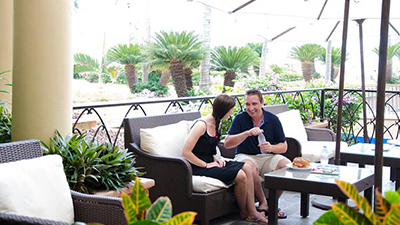 Las Casitas showcases delectable al fresco dining and poolside and beachside service. 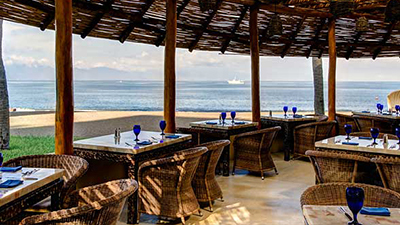 Feast on lobster tacos and tropical drinks as you gaze out at Banderas Bay. The restaurant is open for breakfast, lunch and dinner. Ceviche & Tequila Bar has more than 180 different tequilas, 12 kinds of draft beer, exclusive author cocktails and a great variety of ceviches. If you’re on the go, Deli Los Mangos provides the perfect spot in which to grab a homemade pastry, refreshing salad or satisfying sandwich – as well as fresh coffee. 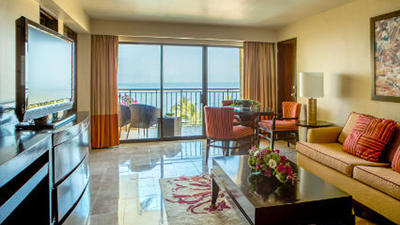 Stop by today before heading out to explore Marina Vallarta. 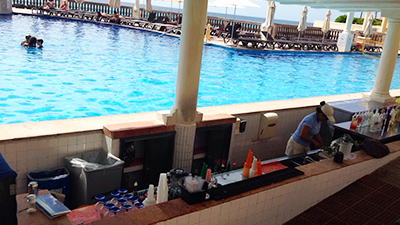 Have a cool drink while you swim at the pool bar. Now that’s refreshing all around! Come back soon for information! 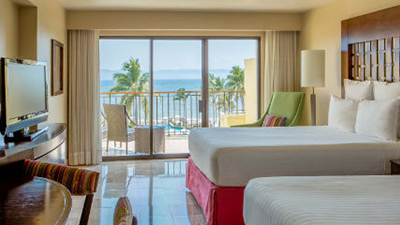 Marriott Puerto Vallarta Resort and Spa welcomes guests with an impeccable location and relaxed luxury, delivering the perfect setting for everything from romantic getaways from family vacations. 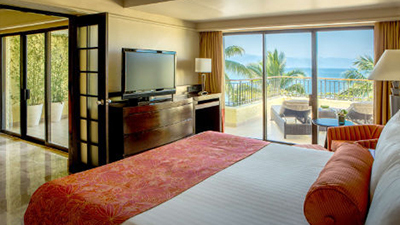 Relax in your spacious room, with its private balcony and marble bathroom or dine at one of the excellent restaurants. Pamper yourself with a visit to our tranquil hotel spa; they also offer an indoor and outdoor pool and the popular Kids Club. 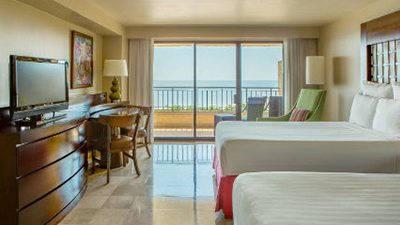 Create lasting travel memories at Marriott Puerto Vallarta Resort and Spa. 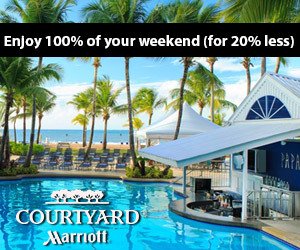 We bring you all the best deals from around the globe for your best vacation experience. 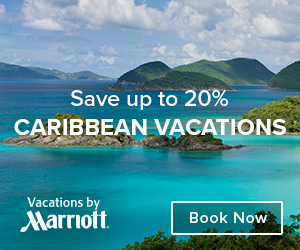 From all inclusive resorts to tropical cruises, we got you covered with your exotic travel destinations. 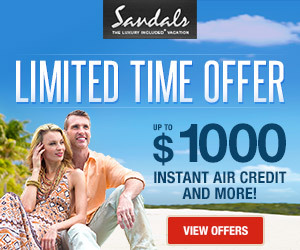 Subscribe to our newsletter to receive our very best offers in your inbox! 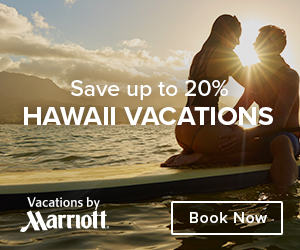 All the best travel deals!